Chilean-born, New York-based artist and designer Sebastian Errazuriz definitely has a provocative sense of humor with his heart and brain in the right place. Smack in the middle of one of the aisles at Pier 92 of the Armory Show this past weekend, in a prime rest/lounge area, were his Occupy Chairs. 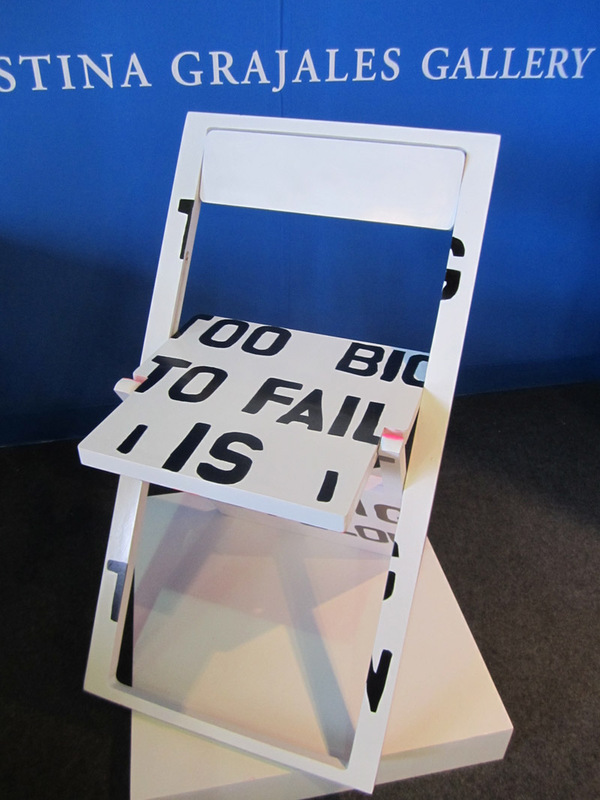 Targeting the art-collecting 1%, Errazuriz invited them to purchase these white folding chairs painted with the Occupy Wall Street movement’s slogans, to raise money in support of the 99% as well as integrating the messages of the larger group into the homes of the smaller one. In essence, transporting the movement’s placards into private lives of those they are protesting. Political statement, general awareness, and a fundraiser all rolled into one. Genius if they actually sold at $2,500 a piece! 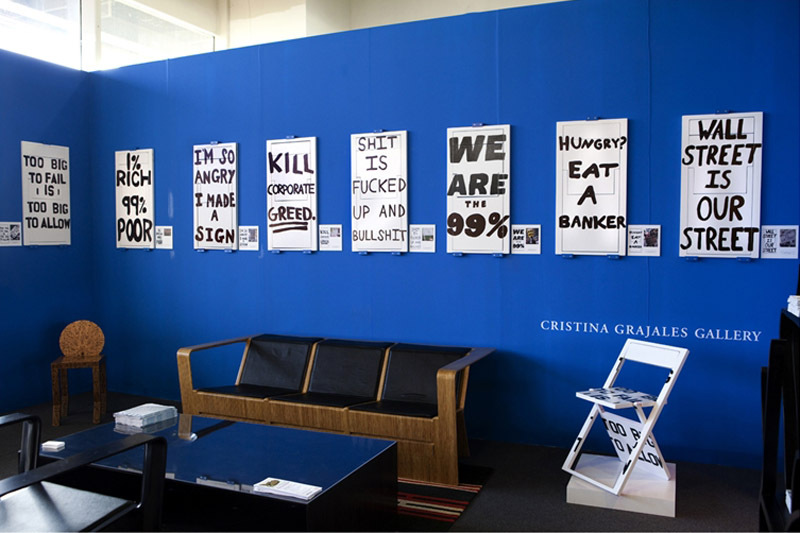 There are eight Occupy Chair designs with 10 of each slogan all available through the Cristina Grajales Gallery. This entry was posted in Art, Industrial Design, NYC, Pop Culture, Street Art. Bookmark the permalink.